Tui Holidays 2020 say goodbye to Tui Sensimar and Tui Family Life Holiday brands. 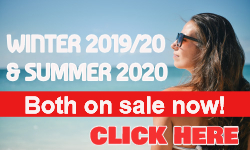 So there will be no Tui Sensimar 2020 or Tui Family Life 2020 holidays. 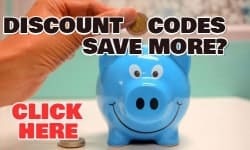 These will instead be replaced with Tui Blue 2020 holidays. This will be the new Tui holidays “flagship” range of hotels and holidays. The current range of Blue Hotels will increase from ten to one hundred by 2020 which will incorporate the previous Sensimar and Family Life properties. If you are already booked a Tui Sensimar or Tui Family Life hotel don't worry. Both brands will be retained for summer 2019 and winter 2019/20 before reopening for summer 2020. Tui Blue Holidays are expected to use the Select Your Room service. Also on the way is a new Tui Magic Life hotel in Cap Verde. The new hotel will be located on the Praia de Chaves beach and is expected to have 575 rooms. The Tui Magic Life Club is due to open in winter 2020 – 2021 Tui Magic Life already has sixteen properties in Spain, North Africa, Turkey, Greece & Italy. There are expected to be more additions to this exciting new range of hotels in the Indian Ocean and South East Asian regions. The first Tui Blue lifestyle hotel in a long-haul destination will be in Zanzibar. 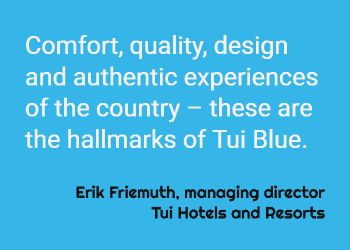 The new hotel will become the Tui Blue Zanzibar for winter 2019-2020. Also on Zanzibar Tui will open the Riu Palace Zanzibar. Should we expect a Tui flight to Zanzibar from the UK? The other Tui Holiday brands such as Riu hotels, Tui Robinson 2020, Tui Magic Life 2020 & Tui Sensatori 2020 will continue as usual. Portugal, Majorca, Costa Del Sol, Italy, Croatia, Cyprus, Egypt, Turkey, Cape Verde, Morocco, Tunisia.